2017 VHI Transport Celebrates 40 Years! VHI Express, located in Chester, VA, a woman-owned leader in supply chain management and logistics, is excited, to announce the addition of two Tesla Semi Electric Trucks to their fleet. The trucks which have been ordered, will be added to the fleet sometime in 2020. 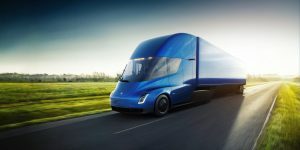 The Tesla Electric Semi trucks have a 500-mile range at maximum weight and at highway speed, and benefit the environment by reducing carbon dioxide emissions while decreasing fuel expenditures. VHI Transport embraces innovation that supports customer’s logistics needs. Founded in 1977, VHI is one of the oldest truck load brokerage companies in the United States. As a global 3PL, VHI offers a full menu of logistics services. In addition, to VHI transport our brokerage division we also operate VHI Express, a full service regional carrier. This combination of asset and non-asset service adds to our flexibility in supporting our customer’s logistics needs. For further information, please contact Bruce Gee at 804-414-1780 or brucegee@vhitransport.com. Membership in BiTA brings Service Relationship Management technology to the common framework of applications that will revolutionize the trucking industry. 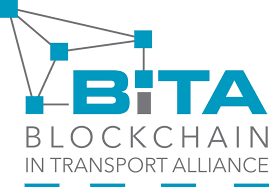 Chester, VA, January 2, 2018 – VHI Transport is proud to announce that it has joined the Blockchain in Transport Alliance (BiTA). Founded in 1977, VHI is one of the oldest truck load brokerage companies in the United States. As a global 3PL, VHI offers a full menu of logistics services. In addition to VHI transport, our brokerage division, we also operate VHI Express, a full service regional carrier. This combination of asset and non-asset service adds to our flexibility in supporting our customer’s logistics needs. If you would like additional information, please contact Kristy Seaton at 804-414-1785 or email at kristyseaton@vhitransport.com.